This study examined the effects of a total compensation strategy on the culture of a nonprofit. This study also examined employee perceptions of the new total compensation strategy. 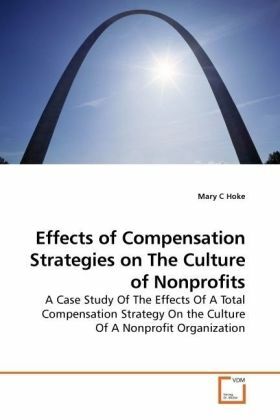 The study was initiated in order to increase understanding of those elements that influence organizational productivity, innovation and cultural change.The data analysis in this study revealed that the new total compensation strategy had a significant effect on the culture of the nonprofit organization. The findings presented in this study also illuminated ways in which employees viewed the new total compensation strategy as most helpful and as least helpful. An integrated analysis of the quantitative and qualitative data also suggested ways in which the effect of the new total compensation strategy could be increased. For example, the analysis suggested that more support for being creative and doing new things would increase organizational productivity and innovation. As a second example, the analysis suggested that more freedom for employees to exercise discretion in decision-making would increase organizational productivity and innovation.